As a rule I only use my blog for my artwork, but last week we had to do one of the most heartbreaking things that we as humans do and I feel compelled to share some of my feelings about it. 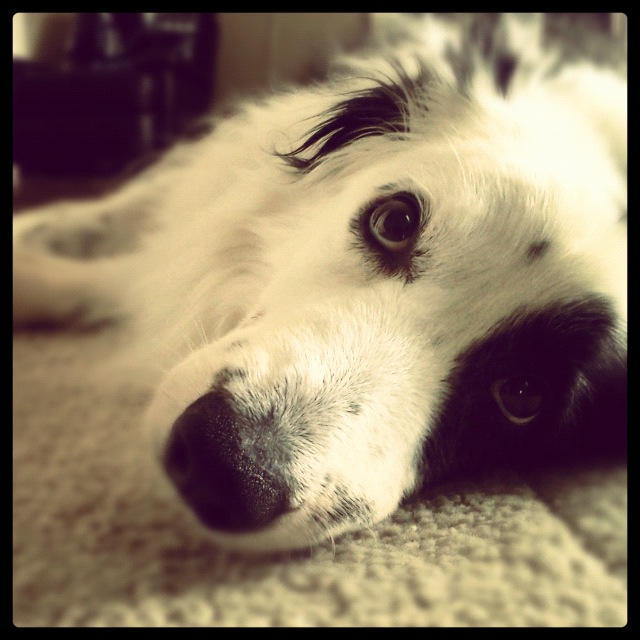 Last Thursday (5/9/2013) we had to put to rest Maggie our border collie after 16 incredible years. My family is certainly not the first or the last to go through this but it is truly sad and painful. I cannot begin nor will I try to explain what an amazing athlete, friend, and absolute family member that she was. My wife and I were young parents and our kids were in elementary school when she came into our lives, and as she leaves us we are in middle-age and our kids are finishing college. What an amazing run! What an amazing blessing! I struggled for days to find a bright side to this without success. But I can say this. Maggie confirmed for me as fact something that I had long believed: The greatest single accomplishment of humans as a specie was domesticating the dog. You can be pretty or ugly, rich or poor, generous or selfish, but no matter what you are or who you are your dog will love you completely and without condition. And that is worth more than almost anything. Today, after sixteen beautiful years we put this wonderful dog to rest. And while I am painfully sad I am even more grateful for the sixteen long years of loyalty, love and companionship she brought to our family. It has been said that, "A dog is the only thing on earth that loves you more than he loves himself." And I have to say Maggie was a perfect depiction of that statement. So thank you for these wonderful sixteen years, Maggie. You were more than just a dog to me, you were a sibling and a friend. We grew up together and I couldn't fathom a better dog to grow up with. I could live another hundred and never find another dog as loving and loyal as you. I love you, Pretty Girl. Rest in Peace.